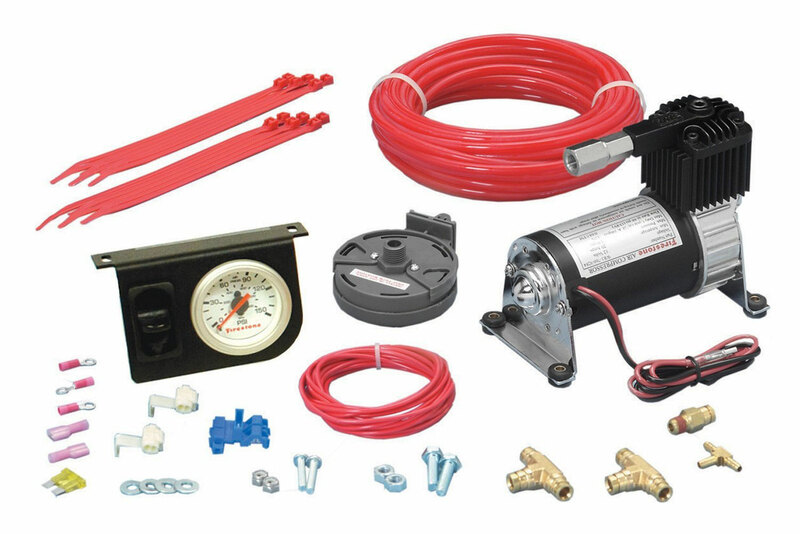 Firestone 2158 Level Command II Air-Rite air system provides instant ride control for Firestone suspension products including all Ride-Rite, Sport-Rite and Coil-Rite air bag helper springs within the cab of the vehicle. This allows quick inflation and deflation for various road and load conditions. 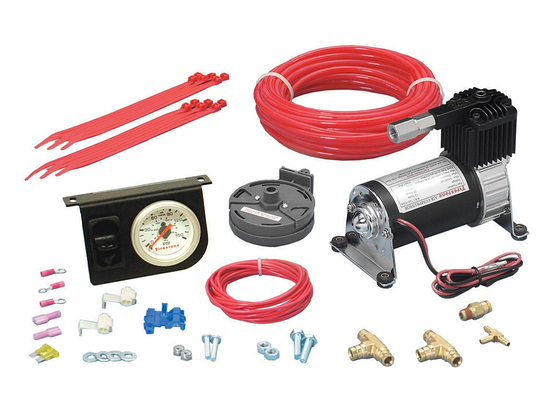 The standard duty compressor in Firestone #2158 offers dependable lasting service and is ideal for moderate usage of the air helper springs. For example, weekend towing or RVing the standard duty system is a great choice. 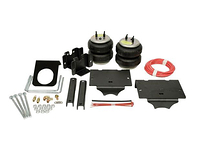 Single gauge control ties the two air springs together providing equal inflation of both air helper springs. Ideal for towing or hauling centered loads. 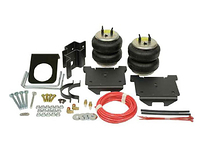 Compatible with Firestone, Air Lift, Hellwig and Leveling Solutions air bags. this product seems do its job well. it is rather noisy and i had to install it behind my backseat in my cab. 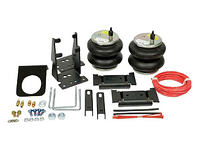 very nice product, well built, all parts necessary to install with firestone air bags included, east to install, if you take your time and follow directions you will finish with no leake through system! Does the job and them some. Delivered right on time. Everything was in the box and securely packaged. The unit works very well. A little slow airing up the bags but it gets the job done. I occasionally transport heavy material in my truck which required the extra support to help the load. I had it professionally installed by ER Auto Repair in Fair Oaks, CA and couldn't be happier. I'll be purchasing more parts from Suspension Connection. Simple, easy, and professional service. Took me about 2 hours to install in a an area that would not get wet and was hidden from sight. Works great so far! awesome product. got it quick. love being able to control the air pressure in my air bags on my chevy truck from inside the cab. Happy with this product. Took about 2 hours to install. Great to be able to adjust pressure while pulling my 5th wheel. Installed this compressor kit with a set of Firestone helper springs. Made things much simpler when I loaded my truck. Switch and gauge seem to be good quality.